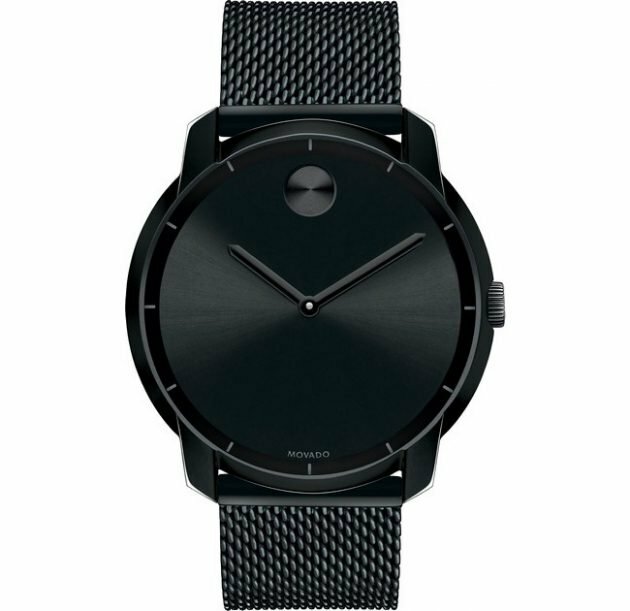 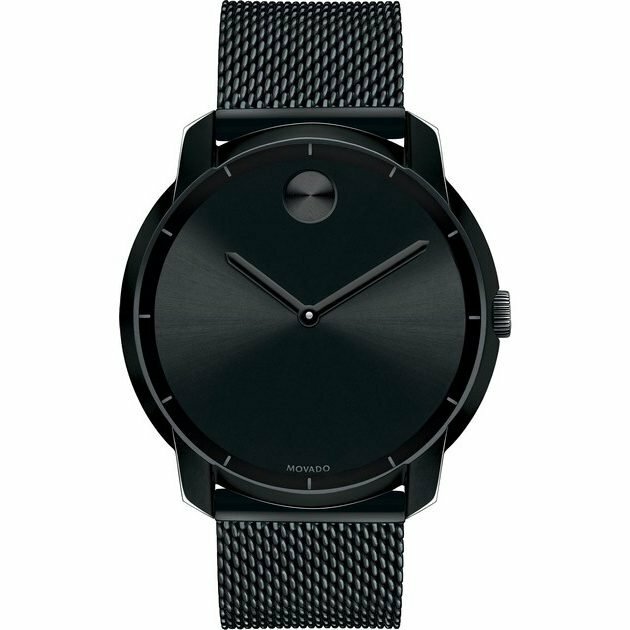 Black ion-plated stainless steel case with a black ion-plated stainless steel mesh bracelet. 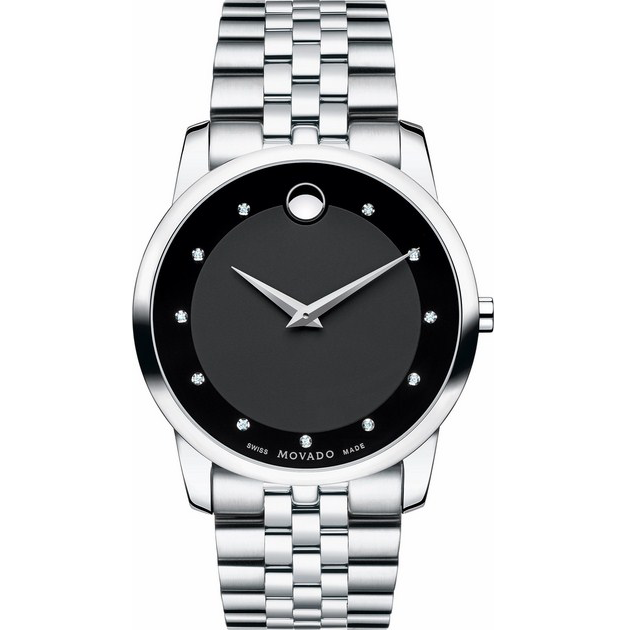 Fixed black ion-plated bezel. 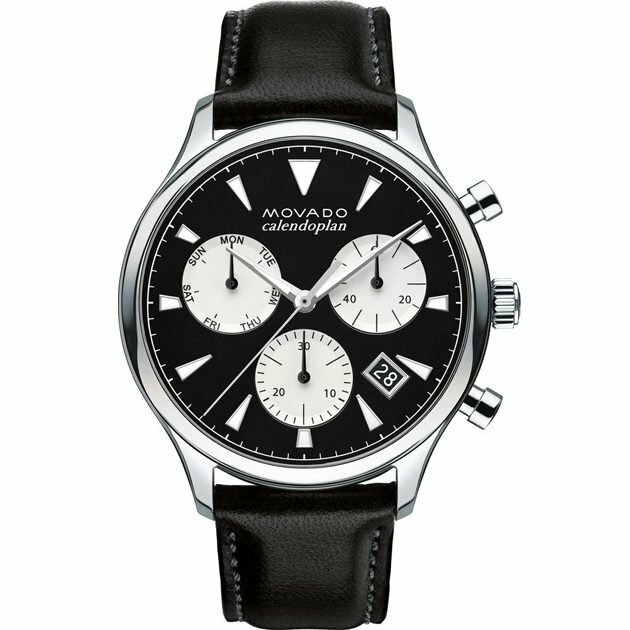 Black dial with black hands. 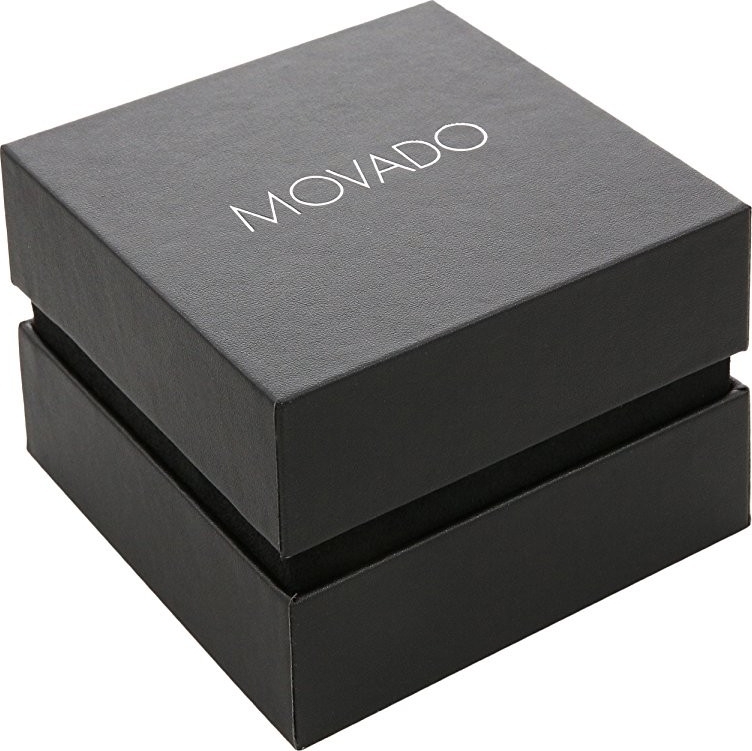 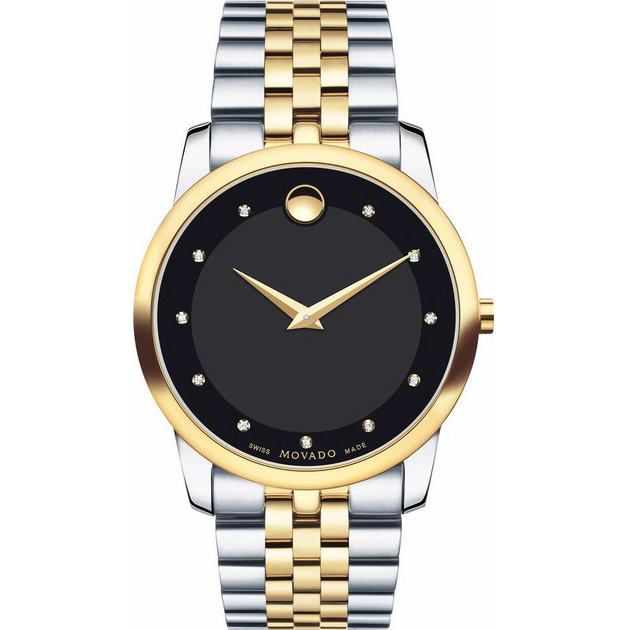 The Movado dot marks the 12 o’clock position. 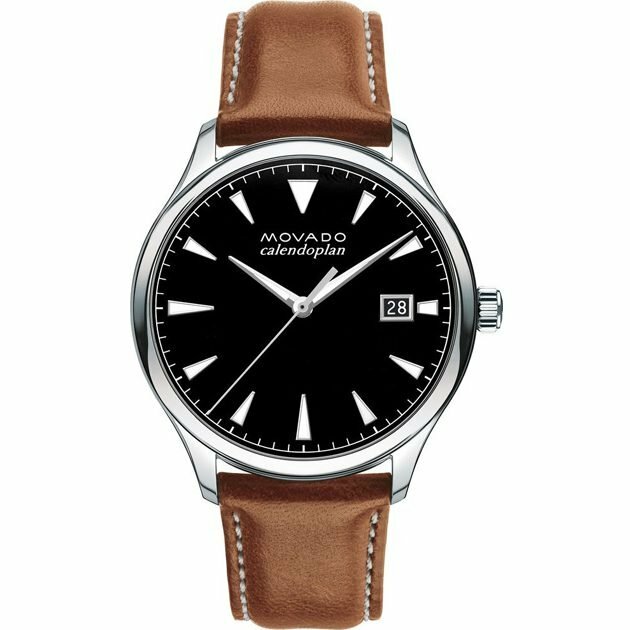 Index hour markers around the inner bezel.